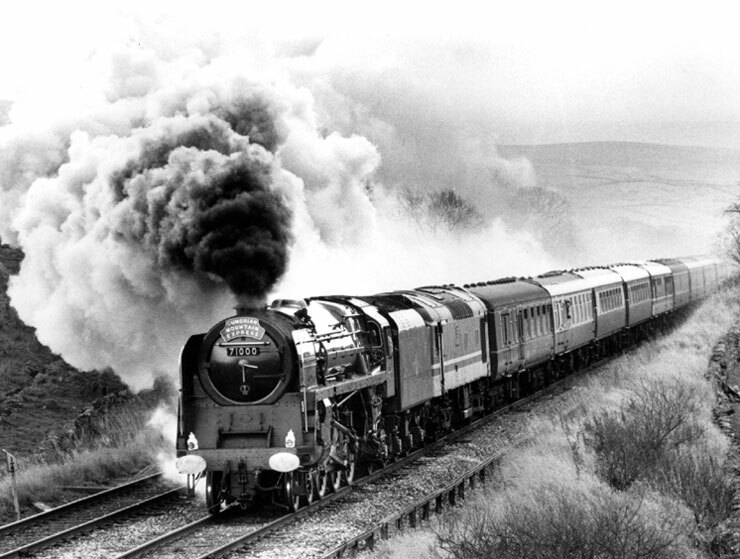 71000 heads north at Horton en route from Skipton to Carlisle. 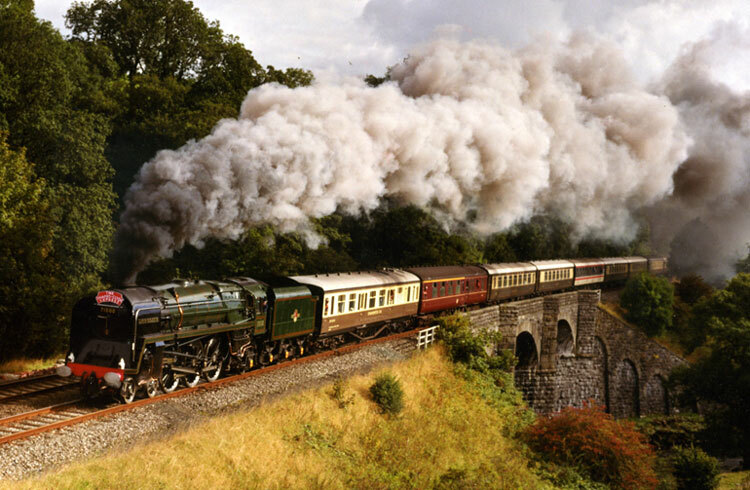 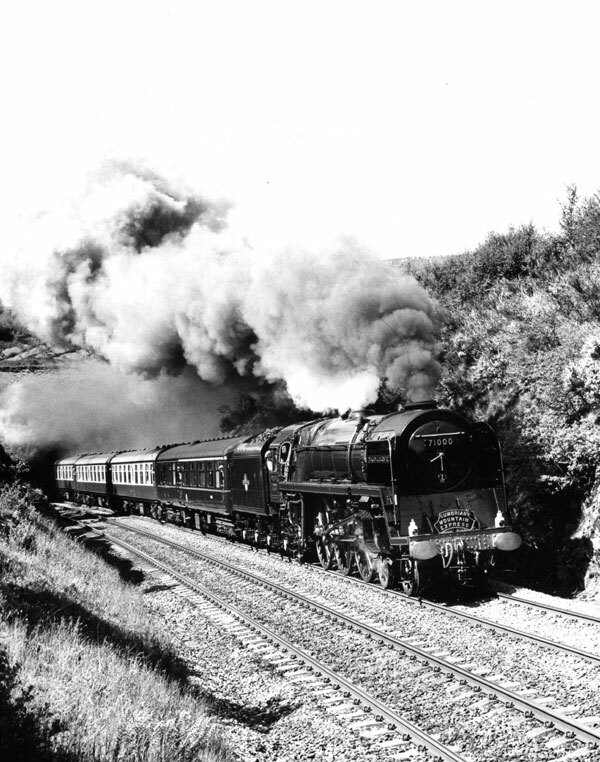 71000 climbs Hatton Bank in fine style with its first charter special since preservation. 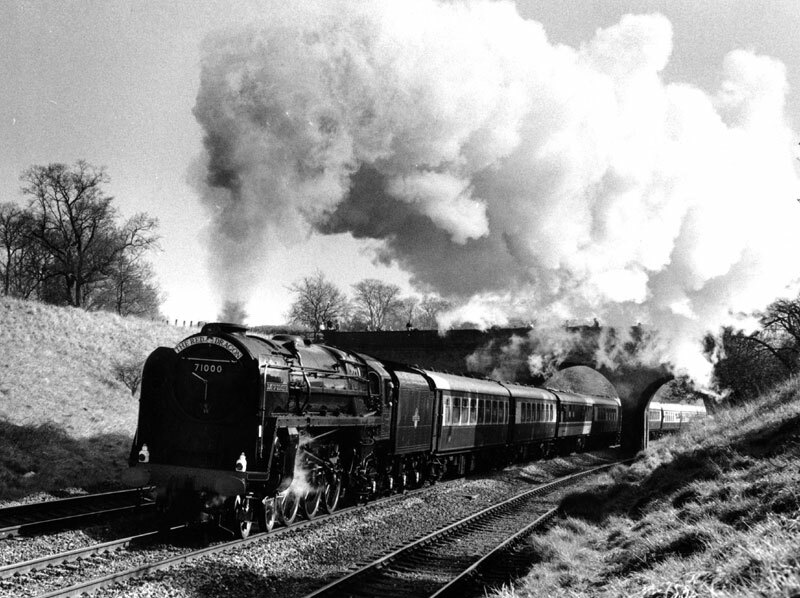 Didcot to Derby & return. 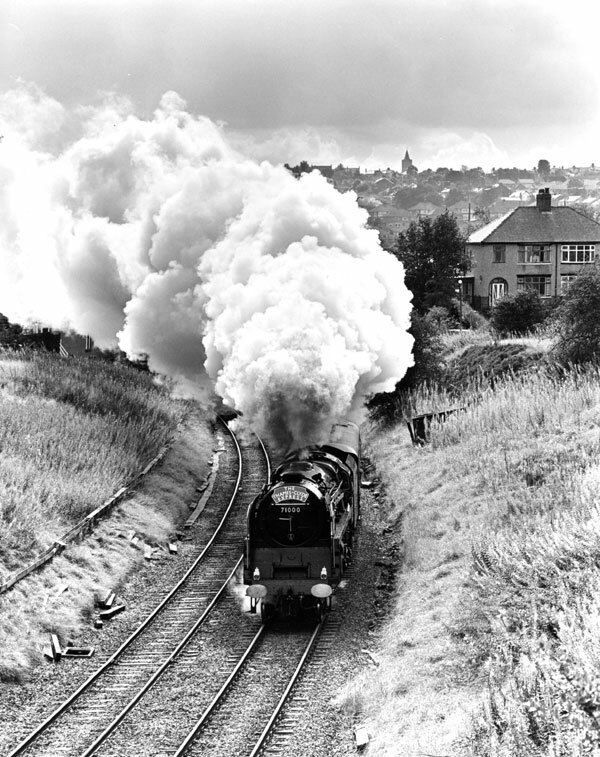 71000 leaves a fine trail of steam as the inaugural mainline special returns from Derby to Didcot. 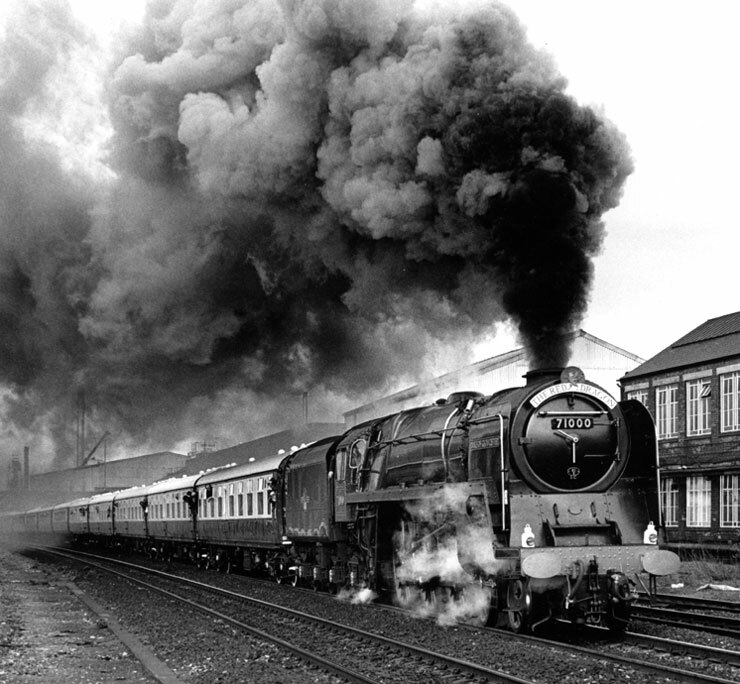 71000 leaves Blackburn with a Euston - Blackburn - Carlisle special.